Monday’s concert was the second in the Mini Festival celebrating the life and Music of Hans Gál. 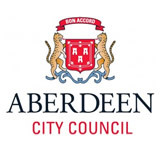 It was also the final concert of the current season promoted by Aberdeen Chamber Music Concerts. 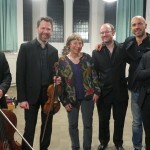 The Edinburgh Quartet played two works by Hans Gál, his String Quartet no. 1 in f minor op. 16 and his Quintet for 2 violins, 2 violas and cello op. 106. In between these two works by Hans Gál, the Edinburgh Quartet played Dvořák’s Quintet in E flat op. 97 for which they were joined by a second viola player Felix Tanner. I found Hans Gál’s f minor Quartet particularly delightful. It was melodically inventive and very characterful. It was stylistically not that far removed from the musical language of Schubert though at the same time it was full of highly personal turns of imagination. It opened with the Edinburgh Quartet’s lightest and most gentle playing but the breezy nature of the music soon took over. Throughout this work the cello had a noteworthy role whether introducing the attractive melody in the opening movement or providing the pizzicato backing to the light and dashing playing of the other instruments in the second movement. The viola and cello shared a four note pizzicato motif in the Adagio which I thought was a wonderfully imaginative and attractive idea. 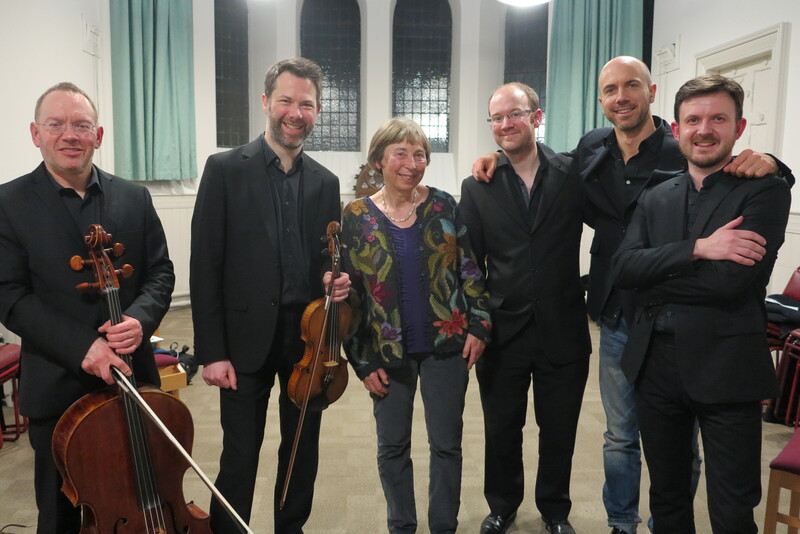 The finale was marked energico and the playing of the Edinburgh Quartet was exactly that. The sheer variety of string textures throughout this Quartet was guaranteed to hold the attention of any audience. The other work by Hans Gál was his Quintet op. 106. One lady in the audience described it as being like a stroll through very attractive countryside. I think I would respond positively to that image. The opening movement sounded lilting and somehow easy going and relaxed. The second movement had outer sections that skipped jauntily along with a sweet soft centre in the middle. I liked the way the thematic material was passed from one instrument to another in the third movement – with marvellous contrapuntal writing and the Edinburgh Quartet with Felix Tanner captured the free flowing changes of pace in the finale which though marked Vivace still managed to suggest a sense of unperturbed relaxation. Dvořák’s E flat Quintet is of course a remarkable work and the Edinburgh Quartet’s performance lived up to every expectation. Both the melodic and rhythmic richness of the opening movement were poured out with splendidly intense and colourful playing. It opened with a solo for viola as Dvořák also does with the opening of his celebrated “American” Quartet. The second movement was busy and was given a special lift by the lightness and delicacy of the playing. The lower strings, two violas and cello sometimes joined by the second violin gave a deliciously rich and dark flavour to the opening of the Larghetto while the Rondo Finale surely ranks highly among the composer’s happiest music – a thoroughly entrancing performance. What a splendid weekend this has been and what a sensational conclusion to another season of events from Aberdeen Chamber Music Concerts.